The song, released by RCA Records, details the feelings of the Pennsylvania native as she seeks consolation from a friend to get rid of the negative feelings she’s experiencing. So far, the track has received solid club culture support via a remix from master DJ/artist Liam Pfeifer who put an uptempo electronic dance twist on the original while still keeping the empowering lyrics “Walk me home in the dead of night/I can’t be alone with all that’s on my mind, mhm/So say you’ll stay with me tonight/’Cause there is so much wrong going on outside” intact. The recording of “Walk Me Home” also comes with a visual that sees the Grammy winning singer acting out her vocals with the help of invisible dancing partners that only show up as shadows. 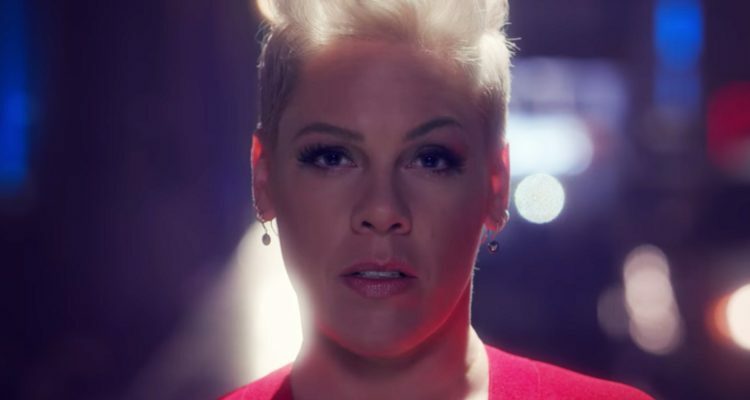 P!nk further exhibits her moves in an empty city that spotlights her choreography and strong voice. Watch the video for this week’s #3 Breakout “Walk Me Home” below. This song will be featured on P!nk’s upcoming album, Hurts 2B Human, which is scheduled to drop on April 26th.